Main board: With USB port. 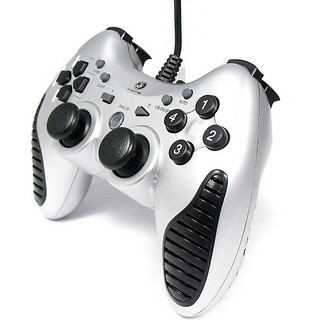 Connect the joypad to your PC. Go to Control Panel --> Game Controllers. Verify that device "USB Dual Vibration Joystick" is installed, calibrate the joypad. Have fun with your joypad. Turbo: Press this button and the button you wish to set to turbo mode at the same time. Clear: Press this button and the button you wish to release from turbo mode at the same time.